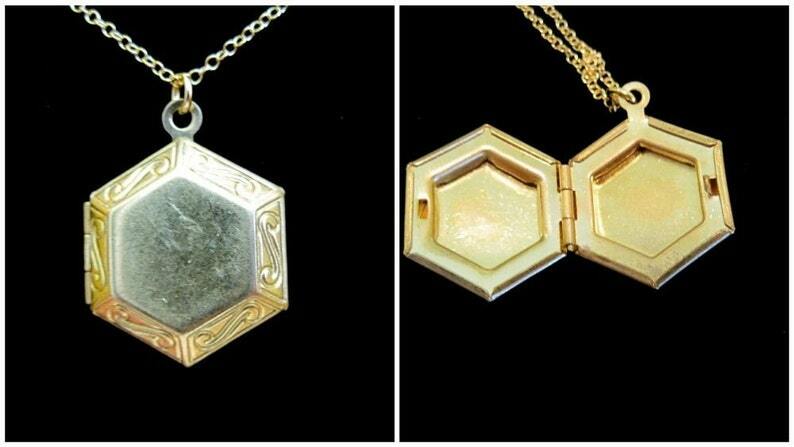 This necklace is made with a hexagonal brass locket hanging on a 14/20 gold-filled chain. The locket has an engraved swirly design around the front edges. The back of the locket is plain. The locket opens to hold two photos. There is a 14/20 gold-filled chain. I love wearing mine as a neutral layering necklace or alone with a button-down top. The chain measures approximately 16 inches but can be adjusted upon request. 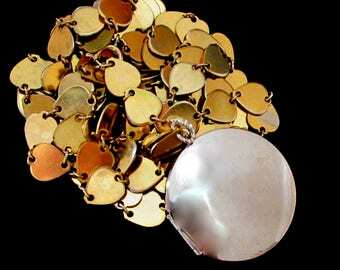 The locket hangs approximately 1 inch from the chain. Very cute and small as shown in picture !